Long Eternity Sun and Moon Earrings. 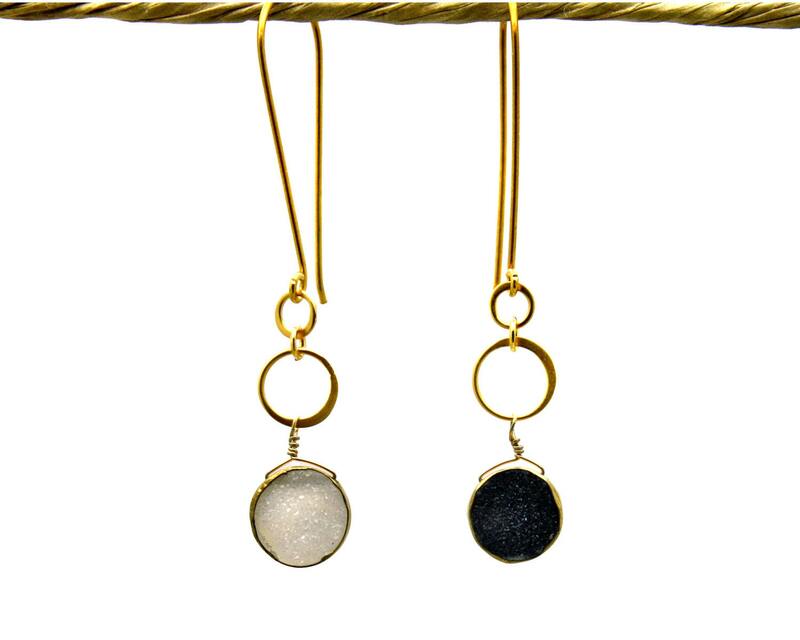 Day and Night Druzy Earrings. 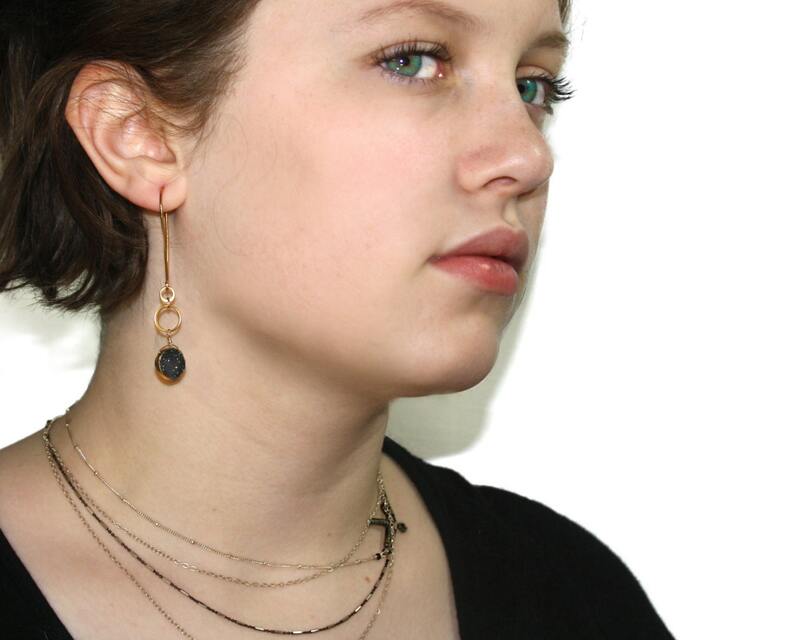 Asymmetrical Eternity Circle Earrings. 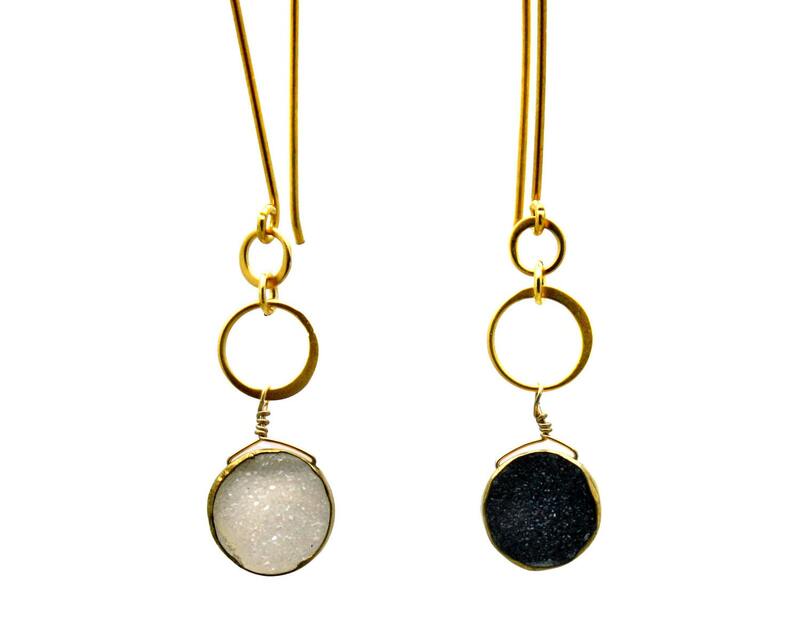 22k Gold Vermeil black and white druzy earrings featuring eternity circle details on a long Vermeil ear wire. 2.35" from top of earwire.